You know all the benefits of owning a cottage — it’s your getaway. But did you know that you’re also exposed to big risks that could cost you a lot of money? That’s because you may only use it for part of the year or because it’s located away from an urban area, meaning it could be at higher risk for break-ins and vandalism. 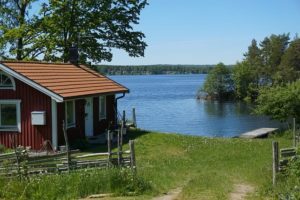 It’s important to get cottage insurance for your home away from home to protect it and all its contents especially if you leave a lot of personal possessions there. In that case, you should be talking to the Seasonal Home Insurance and Recreational Property Insurance experts at Secure Insurance Solutions. In- or out-of-province, we can secure Vacation Home Insurance and Holiday Cottage Insurance at some of the best rates available. 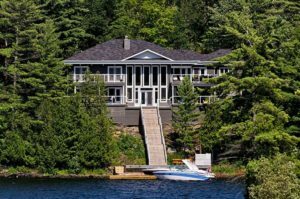 Cottage Insurance is similar to the standard homeowner’s insurance you have for your main property but because the risks are different, you can’t use that standard policy for seasonal home insurance — even if you use your cottage for most of the year. However, it’s sometimes possible to add Seasonal Home Insurance as a secondary residence on your main home insurance, although many owners opt for a standalone policy. The key point is that, while your Recreational Property Insurance protects you against standard risks like liability, fire, theft and some natural hazards, your policy should actually be customized to take account of other factors. That’s why you need a Holiday Cottage Insurance Expert to look after your interests and, especially to make sure you don’t end up paying for risks that don’t affect you. Based on many years of experience of dealing with all types of Holiday Cottage Insurance, we’ve built a program with several options to suit the unique needs of each client. The structure of your cottage, for instance if it is a log cottage, framed or brick. How often it is in use. Its specific location such as on a lakeside or an island. If you have detached structures like a wet boat house, dock, shed or a swimming pool. Insurance for watercraft like power boats, canoes and sailboats. Limited coverage may be available. If you rent out your cottage. Specific, named perils (although we can also cover you for all-perils). Contents, including furnishings, appliances and other equipment. Items that you transport back and forth from your main home will be covered on your main policy. Insurance for full replacement cost or discounted value. If you haven’t bought your cottage yet, talk to one of our brokers for guidance on how to minimize the insurable risks. And if you’ve decided to build one, you can also discuss and learn about builder’s risk insurance so that you don’t lose your investment before you even get to enjoy it. With so many options and variables to protect with your Holiday Cottage Insurance, you won’t be surprised to learn that rates vary considerably, even between individual insurance companies. To be fully protected at the right price, you need to rely on a well-established broker who deals with all the main insurers and knows how to customize and secure the best deal for you. You also need to be sure the broker is there to answer your questions and provide support if you need to file a claim — that’ll be Secure Insurance Solutions. You absolutely must protect everything you’ve worked so hard for, including your vacation cottage, so you can enjoy it for years to come. All the more reason to work with only a highly reputable broker who will answer your questions and, without any obligation or cost, provide you with a fast Holiday Cottage Insurance quote. Click our Free Quote request button right now for a no-risk quote within 1 business day.